Presley Oliphant, a fourth grader from South Park, is on a mission. Her mission is to Save The South Park Game Preserve. While visiting the game preserve with her family one afternoon, she noticed that it needs a makeover. When she got home, she made a website, wrote letters, attended meetings, contacted newspapers and local politicians in order to bring awareness to this issue. Check out her website, read her essay, share your memories, buy a shirt, and get involved! Proceeds will benefit Presley's mission of saving the South Park Game Preserve and bring awareness to the most beloved park in Pittsburgh. 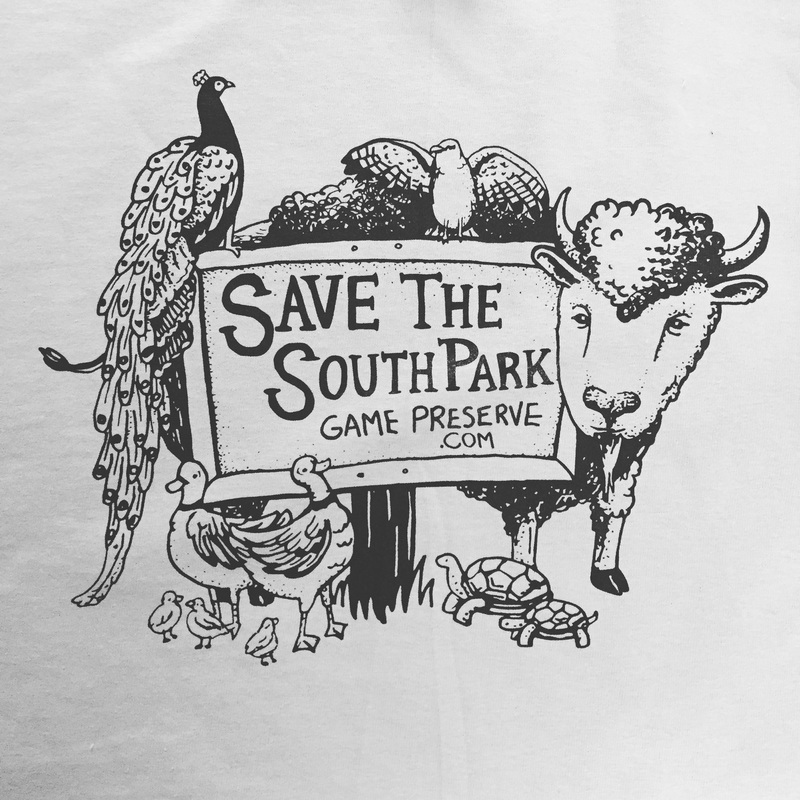 *Personal Note: Some of my fondest memories as a child were spent at South Park Game Preserve. My Mom and Nana would take me there for lunch. We would eat smiley face bologna sandwiches, give bread to the ducks, and check out my favorite, the buffalo.